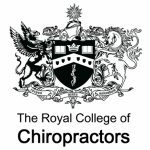 The Royal College of Chiropractors assigns UK members to 1 of 16 regional faculties; members are assigned based on their main practice location. Visit our Regional faculties here. The RCC recognises a number of areas of special interest, where members with or looking to gain additional skills and experience in certain areas are able to join one of our Specialist Faculties, click here for more information.